You should make an appointment to have your AC unit serviced once a year. What this service consists of is dependent upon the model and manufacture of the AC system that you have. However, in general, there will be a checklist that the technician will work from. There will be a combination of inspection, cleaning and lubrication of key components. The following are a few of the advantages of having this done. Like any other piece of equipment, including your car, regular maintenance will keep the AC unit in good operating condition. 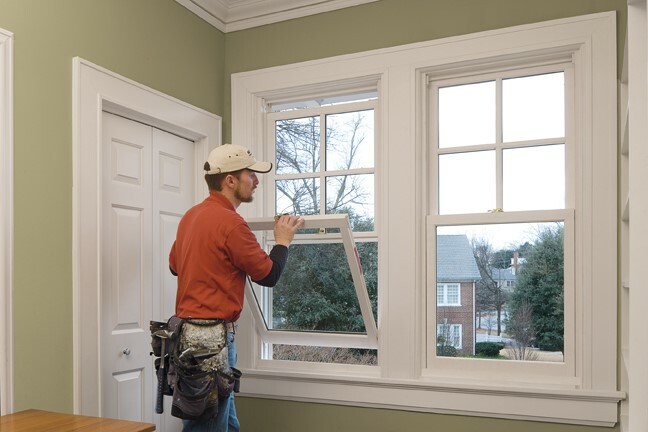 Although there is no guarantee that your AC system will not break down, annual maintenance keeps the AC working in optimal condition, reducing the chances of it breaking down. In addition, by keeping your AC tuned-up, you will have a lower electric bill. AC units that are in poor condition tend to pump out air that is not as cold as it should be, so the unit runs longer. Often a thermostat problem can run up your electric bill as well. 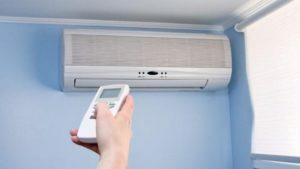 The first time the temperature rises dramatically in the summer, there will be a large number of AC units that break down. This creates many calls to every AC repair company in the city. Unfortunately, there is only so much work that can be done, so even businesses that offer emergency service can only service a limited number of homes. This means they will simply turn down your business, or more than likely, they will offer you an appointment for the next day or two. If you are already a customer, you are likely to be given a priority. One of the major components of a comfortable home and business environment is having a roof that is performing well and protecting the interior. Keeping a good roof in working order requires a little time, effort, and expense. 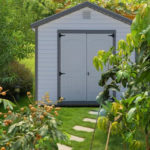 Below are five ways a preventative maintenance plan is the best thing you can do for your roof. Finding trouble early with a roof can save hundreds, even thousands of dollars in repairs. It takes little time for a small issue to turn into a near disaster in water damage, structural difficulties, leading to the need for replacement. Have a roofing expert inspect the roof once a year. It is a smart way to save money in the long run. A professional will know the look of a potential problem. You should use the skills of a professional roofer to test the integrity of your roof. Determining the performance of your roof will depend on the material used, the condition of the roof, and whether there are any weaknesses detected. 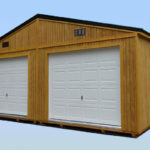 Soft spots on the roof, bowing, bulges, bubbles, loose tiles, shingles, or metal sections require replacement or repair. You want an individual that is familiar with all types of roofing products. All areas that have flashing should be checked to make sure these waterproofing materials are in place and not in need of repair. Seal areas around vents, satellite dishes, and other roof fixtures from water leaks. Gutters should be free of clogs and debris, especially before winter sets in. You are unable to tell how well your roof is aging from the ground level, but an expert in the field can. 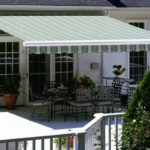 Recommended repairs and maintenance will reduce the wear-and-tear on the roof. You may be unaware that tree limbs are rubbing the surface, shingles are missing, or a portion of the roof is sagging. Commercial and residential roofing responds well to preventative maintenance and monitoring levels of performance. Little improvements made along the way will increase the longevity of your roof by many years. Sometimes a homeowner doesn’t know that there’s a leak beneath their foundation slab right away. They may keep getting unusually high water or energy bills even though the water use in the house hasn’t increased. If they listen, they might hear the sound of rushing water even though none of the fixtures in the house are on. Indeed, there seems to be a drop in the water pressure when they or someone in the family takes a shower. When they go to their basement, they may find a spot on the floor that is hot or damp. If the slab is covered by a carpet, the carpet is damp. A hardwood floor over the leak warps, and the homeowner may notice or smell mold and mildew. The hot water heater runs and runs. These are all signs of a slab leak. 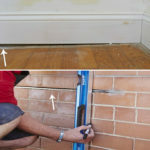 There are some things the homeowner can do to see if there might be a slab leak. First, they need to turn off all of the water fixtures in the house at the main valve. Then, they should check the water meter, which is usually outside the house. They should take lid off and look at the red triangle. If it is rotating, that means that water is still running, and there is a leak somewhere. 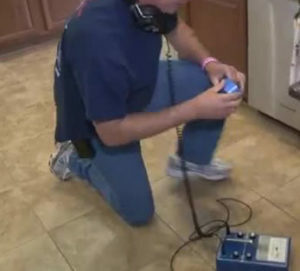 Fortunately, a slab leak is a simple if not particularly easy problem for a reputable plumber to solve and they have a more sophisticated slab leak detector. First, they put an inflatable test ball with an air hose attached to it into the clean out in the main sewer line. Then, they fill the ball with air so no water can get pass it, and turn on all of the fixtures in the house until the pipes back up. Then, at least one of the toilets is removed, and the water level at the flange, or the place where the toilet meets the drain is observed. If the water level drops after some minutes, there’s a leak. 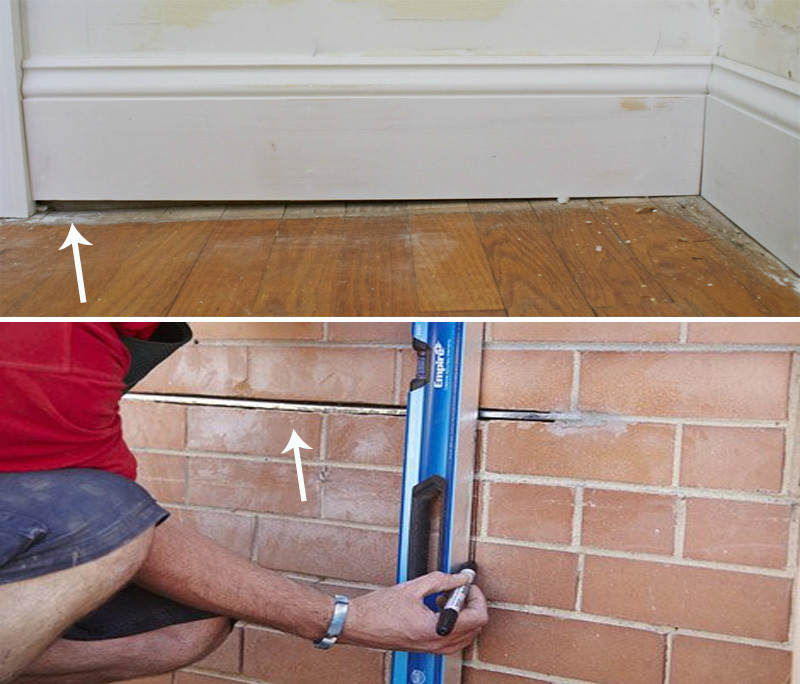 There are two ways to access the problem area to fix a slab leak. The plumber can tunnel into the house from the outside or use a jackhammer to break up the slab and fix it. Most plumbers prefer to come in from the outside as it is less disruptive to their customer. 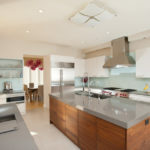 If there is only a small leak or just one leak in the pipes, epoxy restoration can repair the leak. However, if there is one leak, chances are good that there are a few. In that case, the plumbing contractor will need to re-pipe a line. In the most invasive type of repair, the pipes will need to be rerouted. This is the solution when the leaks are not just under the slab but in the walls. Bedbugs have always been around. No one knows when these creatures first appeared on the Earth. They have been here since the days that pharaohs ruled Egypt. These blood sucking parasitic creatures have been munching on human blood for thousands of years. There isn’t a country, culture or group of people that have not experienced the scourge of this creature. Bedbugs have always been around. Unfortunately for all humans, their future is looking brighter than ever. The year is 2018 and bedbugs still have a foothold in most major American cities. Baltimore, Washington D.C., Cincinnati and Detroit are all metropolitan areas that have been compromised by bed bugs. Lexington, Kentucky is the nation’s 60th largest city by population. This city is ranked at number 42 out the 50 worst places in America for bed bugs. Bed bug treatment services Lexington KY are available for people who have been infected by this pestilence. Many Americans are now feeling the effects of bed bugs infestations. In the past, these creatures had a foothold in America that was hard to wipe out. When American soldiers were in the Europe during World War II, bed bug infestations were common. As a matter of fact, General McArthur stated they were extremely problematic on military bases. Eventually, American soldiers figured out how to get rid of bed bugs. Thy used a substance called DDT and it was extremely effective. However, this substance was poisonous to humans and it was banned. Once DDT was removed from the market, the bugs slowly made their way back. Globalism and international travel began to expand. People all over the world traveled from one area to the next. According to the History Channel website, modern bed bug infestations increased as the result of international travel. Also, society’s increased mobility helped to spread the bed bug epidemic. People spend more time out of their home traveling and visiting places. As of 2018 the bed bug epidemic is no longer contained to residential homes. Bedbugs are in hotels, restaurants, department stores and are found in many public schools and libraries. In the future, these creatures are expected to keep going strong. Some cities such as New York have managed to reduce their bed bug problem. However, no city will completely eradicate these creatures. Since powerful chemical substance such as DDT have been banned, the bed bug epidemic is expected to continue for many years in to the future. “Good night, sleep tight, don’t let the bed bugs bite.” This is an old phrase that people use to say during their prayers right before they went to sleep. People who grew up during the 60s, 70s and 80s never understood this phrase from a personal experience. However, children growing up in the late 90s, the 2000s and the 2010s know perfectly well what this phrase means. Bed bugs for people growing up in the 2020s will also be a problem as well. They too will know all about these bugs from personal experience. Societies are constantly fighting against the bed bug scourge, but they are not expected to win this war. The only way that cities and nations can expect to get rid of these creatures is using powerful chemical substances such as DDT. 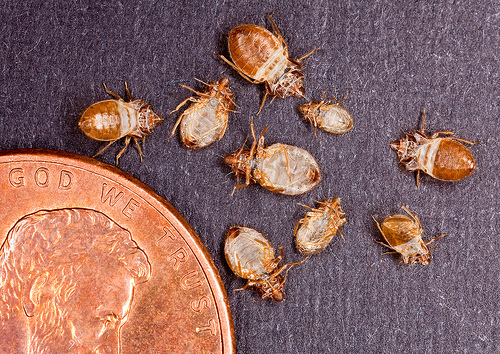 According to the Scientific American Journal, some nations might consider using this substance in limited and controlled environments to eliminate bed bugs. The war against bed bugs rage on. These pests from the past will still have a future with humanity. Wenn Sie ein Haus besitzen, möchten Sie es so aktualisiert und gut aussehen, wie Sie nur können. Eine der besten Möglichkeiten, dies zu tun, ist die regelmäßige Renovierung verschiedener Bereiche des Hauses. Küchen, die moderne Geräte haben, sind für potenzielle Käufer attraktiver, wenn Sie Ihr Haus verkaufen. Badezimmereinrichtungen sollten in einwandfreiem Zustand gehalten werden, um richtig zu funktionieren. Arbeiten in jedem Raum zu erledigen, erfordert viel Planung und Zeit. Den richtigen Auftragnehmer zu finden, um die Arbeit zu erledigen, ist wesentlich, damit er herauskommt, während Sie planen. Schauen Sie im Internet nach, um die richtige Firma für Ihre Renovierungsarbeiten zu finden. Wenn das Badezimmer in Ihrem Haus beginnt alt aussehen und die Armaturen beginnen, Schäden und Verfärbungen zu bekommen, sollten Sie in Betracht ziehen, es zu renovieren. Diese Arbeit sollte von einem lizenzierten Auftragnehmer durchgeführt werden, damit er so funktioniert, wie Sie es möchten. Obwohl ein großer Teil der Arbeit von Ihnen erledigt werden kann, wird ein Experte in der Lage sein, Ihnen zu Beginn zu sagen, ob das Endergebnis das ist, was Sie wollen. Bauunternehmer können Ihnen eine Auswahl an verschiedenen Materialien zur Installation anbieten und Ihnen die neuesten Leuchten zur Auswahl anbieten. Einer der wichtigsten Teile der Veränderung sollten die Böden sein, da dies den Besuchern einen ersten Eindruck von dem Raum geben wird. Es gibt viele verschiedene Arten von Böden, aus denen Sie wählen können, und die Auswahl der richtigen für Ihr Badezimmer ist wichtig. Es ist nicht empfehlenswert, Holzböden in diesen Räumen zu platzieren, da die dort vorhandene Feuchtigkeit sie ruinieren kann. Stattdessen empfehlen sie Fliesen, die langlebig und langlebig sind. Fliesen kommen auch in einer großen Vielfalt und Sie müssen wählen, die Sie am meisten mögen und geben Ihnen das Aussehen, das Sie anstreben. Fliesen Bad Naturstein Stuttgart ist eine Option, aus der Sie wählen können. Naturstein hat ein schönes Aussehen und sie sind leicht zu pflegen. Ein Steinboden in Ihrem Bad ist eine der besten Entscheidungen, die Sie treffen können. Sie benötigen sehr wenig Wartung und halten Sie viele Jahre. Sie kommen in einer Reihe von Farben und Sie sollten eine wählen, die den Test der Zeit bestehen wird. Anders als beim alltäglichen Kehren und Wischen des Bodens muss nur sehr wenig getan werden, damit sie gut aussehen. Es wird empfohlen, einmal im Jahr den Stein mit einem Finish zu behandeln. Die Steine ​​absorbieren das Finish und dies hilft, sie in guter Form zu halten.